Hands up: who thinks Ray-Ban is the coolest sunglasses brand around? Well, it's safe to say you're not the only one. In the 70+ years the brand has existed, everyone – from movie stars and catwalk models to the popular kids at school – have made it their business to see-and-be-seen wearing a pair of classic Ray-Ban shades. But, where did it all start for one of the world's most iconic sunglasses brands? To answer that question, first we must take a trip down memory lane to the Golden Age of Flight. Above: The first pair of Ray-Ban sunglasses were designed and manufactured to protect American Air Force pilots. Due to huge advancements in the field of aviation, the period between the two world wars has become known as the Golden Age of Flight. During this time, aeroplanes evolved from wood-and-fabric biplanes to streamlined metal monoplanes that could reach huge altitudes. As such, the American Army needed sunglasses that would protect their pilots from the sun's rays that, at increased height, were giving them severe headaches and altitude sickness. The task of creating such a product was given to Bausch & Lomb, who went on to design and manufacture the first pair of anti-glare sunglasses. In 1937, these new sunglasses went on sale to the public for the first time, complete with a plastic frame in the now classic Aviator shape. A year later the legend was born, when these sunglasses were re-modelled with a metal frame and re-branded with the name Ray-Ban Aviator. Because of the breakout of World War II, American Air Force pilots continued to use Ray-Ban sunglasses. Consequently, Ray-Ban ploughed a fortune into research and development, which kick-started the brand's enduring focus on innovation and led to the creation of gradient mirror lenses. Ray-Ban's innovations were, of course, initially designed for military use. However, because of the war, Army and Navy-inspired clothes dominated the era's fashion, and Ray-Ban sunglasses also proved popular with the general public. As such, the 1940s witnessed Ray-Ban's first giant steps towards becoming the cultural behemoth it is today. In 1952, Ray-Ban released their Wayfarer model, which proved to be the brand's zeitgeist moment in terms of appealing to the Hollywood elite. For example, James Dean's iconic look in the landmark film, Rebel without a Cause, was capped by a pair of Wayfarers. 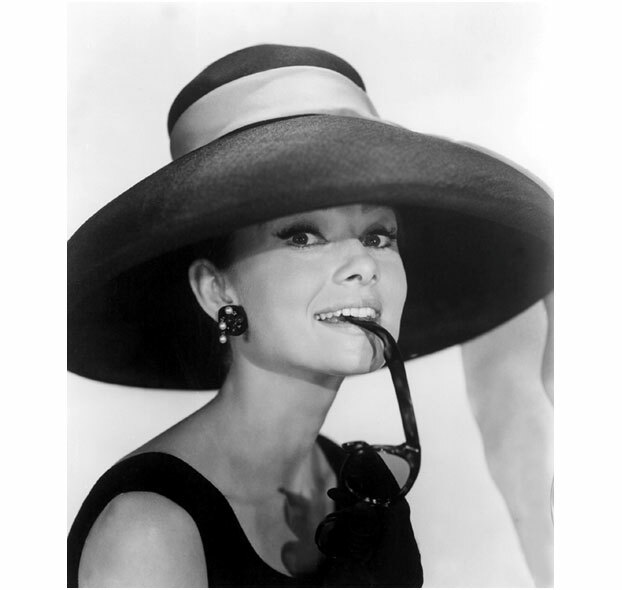 And, by wearing Wayfarer sunglasses in Breakfast at Tiffany's, Audrey Hepburn cemented the shades' reputation as one of the most famous fashion accessories of all time. Despite enjoying acclaim and universal adoption by famous fashion icons, Ray-Ban refused to rest on their laurels and continued to innovate throughout the 50s and 60s. For instance, in 1953, the sunglasses giant introduced G-15 grey lenses – a neutral grey lens that provided crystal clear vision and fantastic protection from dazzling glare. In 1958, they launched a dedicated women's range that included ornate flourishes and frames in a wider variety of colours. Above: Ray-Ban sunglasses with dark lenses became extremely popular during the 1970s. In many ways, the 1969 counterculture film, Easy Rider, (which, incidentally, featured Peter Fonda wearing a pair of Ray-Ban Olympian sunglasses) embodied the era's cultural shift away from traditional values. Throughout the 1970s, Ray-Ban introduced sunglasses with darker or mirrored lenses that appealed to the non-conformist ideal that characterised the decade for many people. There are plenty of popular culture references to Ray-Ban in this era, such as Clint Eastwood in the film Dirty Harry, or Bob Dylan, who was rarely – if ever – seen without his dark-lensed Ray-Ban Wayfarers. 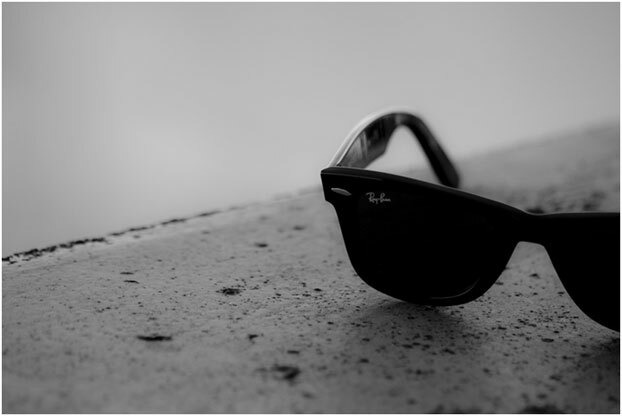 In terms of innovation, the 1970s was the decade that Ray-Ban branched out from being the must-have fashion accessory to also being the must-have sports accessory. 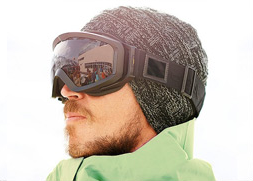 As a result, Ray-Ban created mountaineering glasses with mirrored lenses and Ambermatic lenses that changed colour depending on light conditions. The latter of which, ensured that Ray-Ban sunglasses were appropriate for use when participating in winter sports. Above: To this day, Jack Nicholson remains an enthusiastic wearer of Ray-Ban sunglasses. In 1982, the brand signed a $50,000-a-year deal with Unique Product Placement of Burbank to have their sunglasses placed in 60 movies and television shows for each of the next five years. This investment led to some of Ray-Ban's most famous appearances in popular culture, including Tom Cruise in Risky Business and the TV series Miami Vice and Moonlighting. Their massive exposure on the small and big screen helped Ray-Ban's popularity soar to new heights, and Wayfarers could now be seen on many famous faces including, Madonna, Michael Jackson and Jack Nicholson. 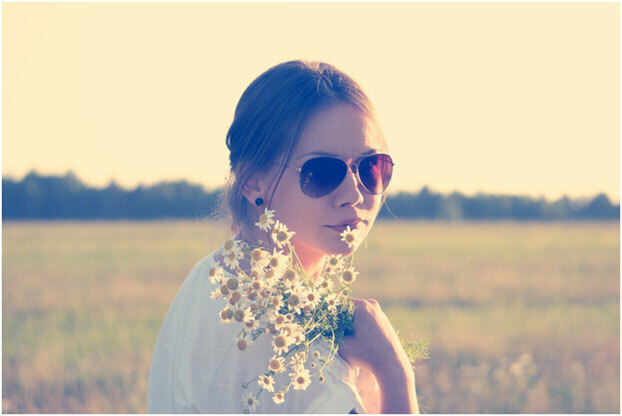 At the beginning of the 1990s, Ray-Ban experienced a rare slump in popularity, as the phenomenon of Grunge meant that wrap-around sunglasses, from manufacturers such as Oakley, became increasingly popular. Despite this, Ray-Ban sunglasses still found their way into some of the coolest and most iconic movies the decade produced. Notable examples included; Tim Roth in Reservoir Dogs, Will Smith and Tommy Lee Jones in Men in Black, and Johnny Depp in Fear and Loathing in Las Vegas. As part of a successful bid to get back on top, Ray-Ban reworked their classic models for a contemporary audience – including the Wayfarer in 2006. Then, in 2007, Ray-Ban signalled their intent to get in touch with the digital generation by launching the Never Hide campaign, which included YouTube videos urging fans to be themselves. In a further bid to get back to their roots, Ray-Ban introduced their largest number of innovations for a couple of decades throughout the 2000s. 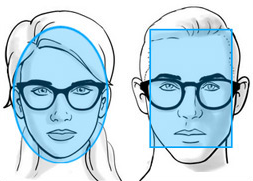 Examples include; The Ray-Ban Tech Carbon Fibre Collection that introduced the brand's first wraparound lightweight frames, and P3 PLUS lenses that improved UV protection. Furthermore, in 2003, the brand launched Ray-Ban Junior for Children and Ray-Ban Optical for prescription lens wearers. 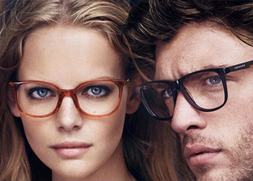 Above: Even after celebrating their 75th anniversary, Ray-Ban are still innovating and re-mastering classic designs. 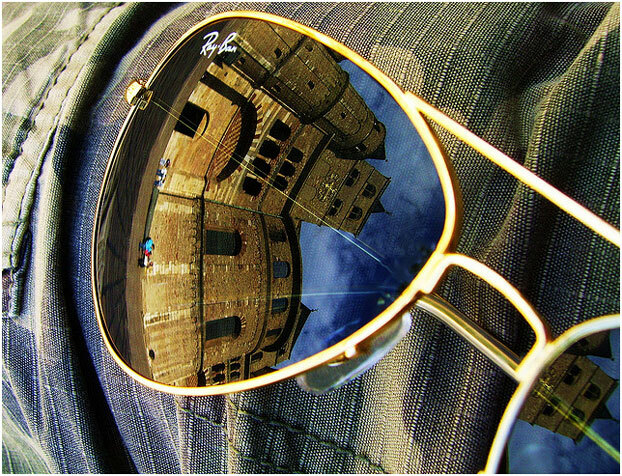 Ray-Ban's Never Hide Campaign reached new heights in 2011, when fans gathered across the world for the brand's biggest digital event to date. Held in cities such as Shanghai, Delhi, Rome, London, New York and Rio de Janeiro, the event succeeded in reaching over 10 million people online, by encouraging visitors to share stories and photos across social media. 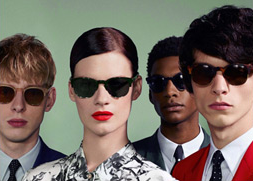 In 2012, the world's most iconic sunglasses range celebrated their 75th birthday. As part of the landmark anniversary, the brand launched the limited edition Legends collection, which involved dipping into their extensive back catalogue and reimagining a number trademark styles – including the Aviator, Laramie and Meteor models. The future of the Ray-Ban brand is impossible to predict. However, it’s safe to say that the brand will continue to develop their sunglasses with an approach that marries innovation with style. With that in mind, would you bet against Ray-Ban being the sunglasses brand to see-and-be-seen wearing for the next 75 years as well? To grab a pair of these effortlessly cool sunglasses at a price that won't break the bank, head over to our Ray-Ban Collection now. And, if you find a pair you love, we'll also send them straight to your door at no extra cost.